After reading our blog about increasing your curb appeal, you may be interested in planting your own garden. 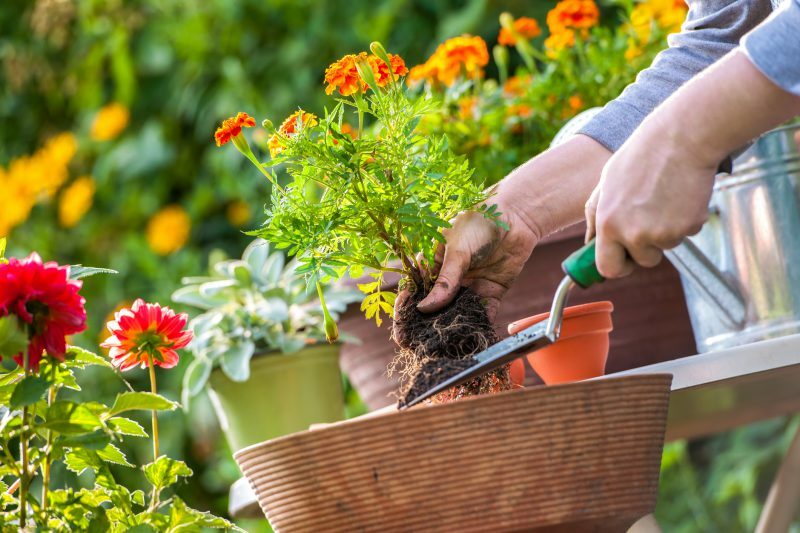 Starting the adventure of creating your own garden is both a fun and rewarding way not only to make your home more “curb appealing,” it’s also an excellent way to spend more time outside during the spring and summer months. If you’re new to gardening, these guidelines will help you green your garden, and impress your neighbors in the process! Location, location, location. Not only should you familiarize yourself with the local plant and flower options, but choose the optimal location in your yard for what you’d like to grow. One consideration is sun vs. shade, and another is local climate. The USDA even has a zoning map that you can consult regarding plant hardiness. Once you’ve done your research, you can pick the fruits, vegetables, and plants that will perform the best with the least amount of maintenance. Creating a plan for your garden is the second step. Researching the size of what you’re planting will allow for enough space for each item. In addition, knowing the height of your plants will help you order them in the beds according to their size. During this time, you can also research local wildlife that can be a nuisance in your area to learn how to prevent them from eating your plants before they’ve had time to sprout. Write everything down. Keeping a journal of the types of plants in your garden will help you to stay organized. Add the plant tags and sticks for each season. After that, the amount of detail to include is up to you, such as where you purchased the plants or vegetables, or where you planted them in your garden. Records like these help you to learn more about what works best for you. Create a calendar. Know that in the spring you’ll want to begin fertilizing and growing plants indoors, or not to plant during the summer months when it’s typically too hot. Know that when fall arrives, it’s time to prune and add new flowers or plants to your garden. When you’re aware of your big tasks for the year, you won’t be caught unawares as the seasons progress. Make sure you have all the gardening supplies that you need. Things like a wheelbarrow, a non-stick shovel, gloves or even a hat to cover your head while you work will all make your job as a budding gardener easier. Ask around, or look online to research the tools and materials that will work best for the kind of garden you’d like to have. As a new gardener, you may want to see instant results and it might be difficult to be patient. However, Rome wasn’t built in a day and your garden won’t be blooming in a day either. Once you have your plan together for your new garden, let nature take its course! I love designing a new look every year. My neighbors always ask, “what is the name of that plant”… so much so, that I leave the actual directive/name and guide stick in the soil now, so they can get the plant, as well. Fave plant: “hearty, colorful, lush and grows in pretty much any condition from late spring to fall and is an indoor/outdoor plant, ie “THE CROTON”. Absolutely, beautiful colors and it GROWS great! Thank you for the tips in this article, I’ve learned a thing or two :). Hey that’s an idea… a Howard Hanna, plant stick…hmmmm. or “Howard Hanna miracle grow”. A nice gesture for clients, neighbors, etc – who do garden.